Picture this: You're whipping up your mom's famous Chicken Noodle Soup when you get to the part of the recipe that calls for a bay leaf. 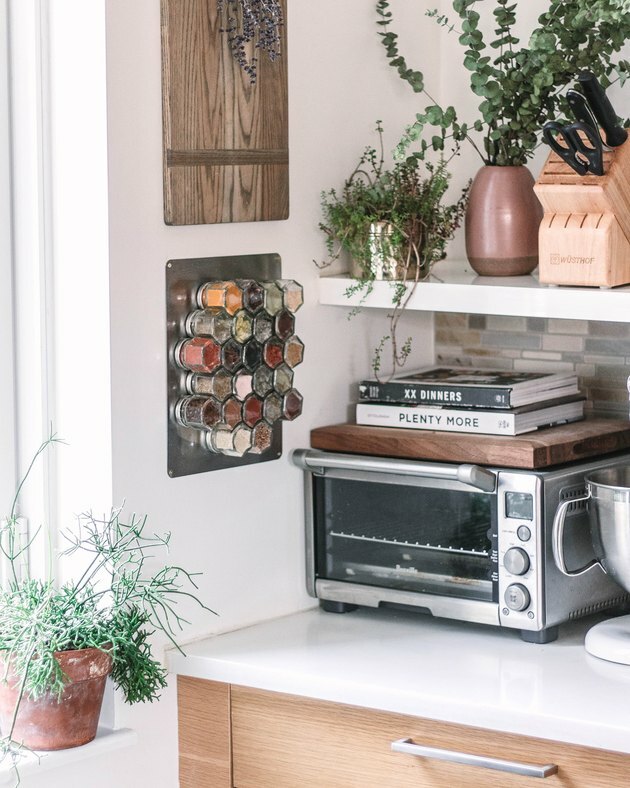 You know you have a bottle of them stored somewhere, but your spice rack isn't exactly in Marie Kondo-shape yet. (Ain't nobody got thyme for that.) 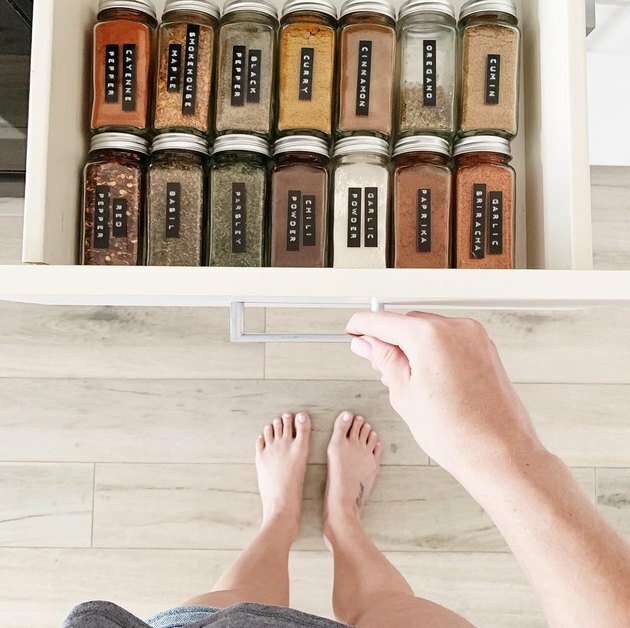 Not only is your soup left boiling without said bay leaf, but you've sufficiently messed up your dedicated spice drawer even more. 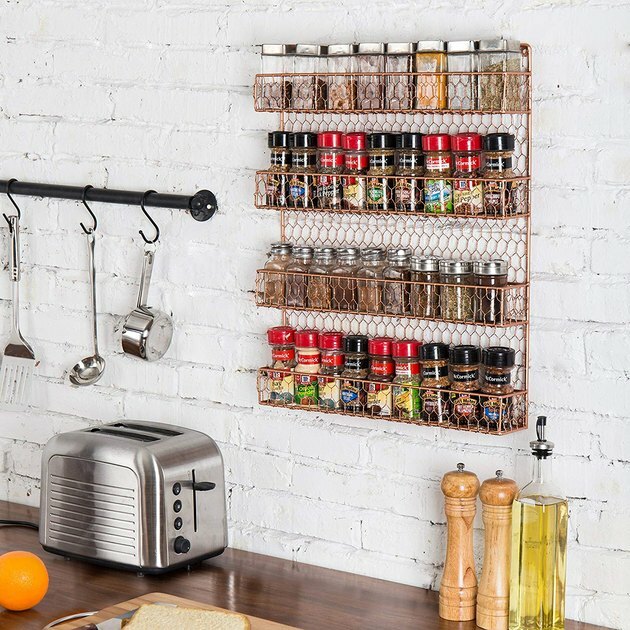 Take a cue from one of these top-notch organization hacks and get your spice stash in tip-top shape. For those who liken their culinary skills to those in a test lab. 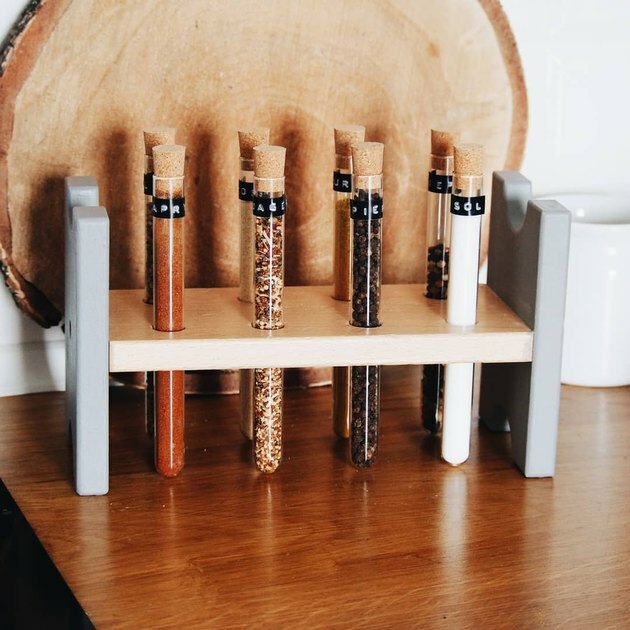 These little tubes are available on Amazon — wooden holding rack sold separately — so all you need to do is steady your hand and pour. 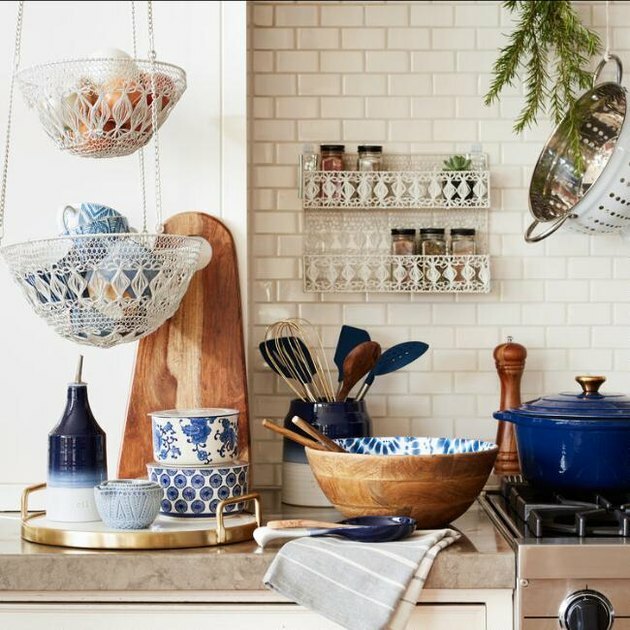 Pop these on your countertop for a guaranteed conversation starter. If you have extra drawer space, enter a matching jar set. 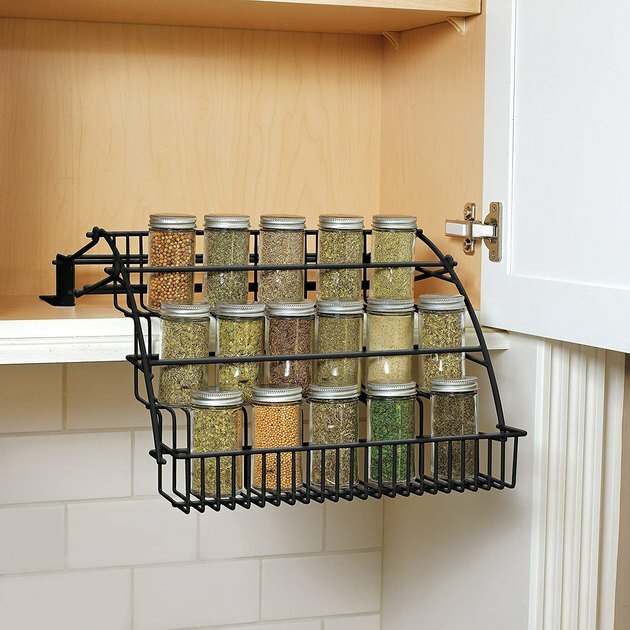 The uniformed size and shape, combined with clear, organized labels, mean no more blindly searching for the oregano on pizza night. If you have to put them on display, why not do it in rose gold? Welcome to our new very favorite method of organization. 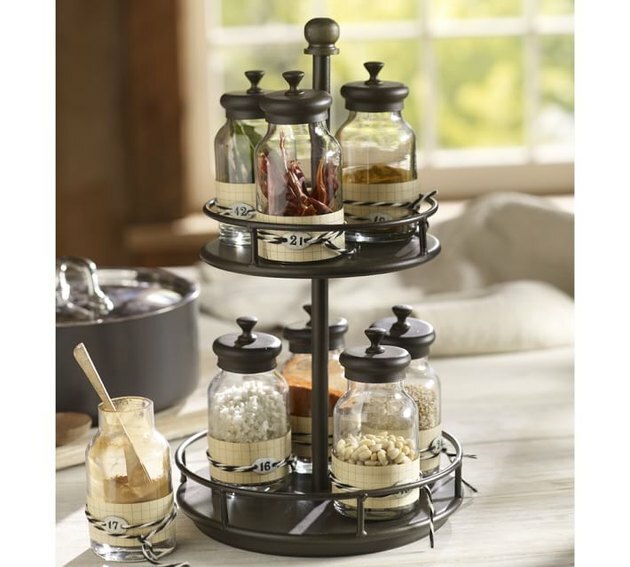 These tiny little jars include lids that will stick to any magnetic surface. So pop them on your fridge, behind your stove, or buy a magnetic board to hang on your wall. Parsley and cumin will never look the same again. A classic that even Ina would approve of. 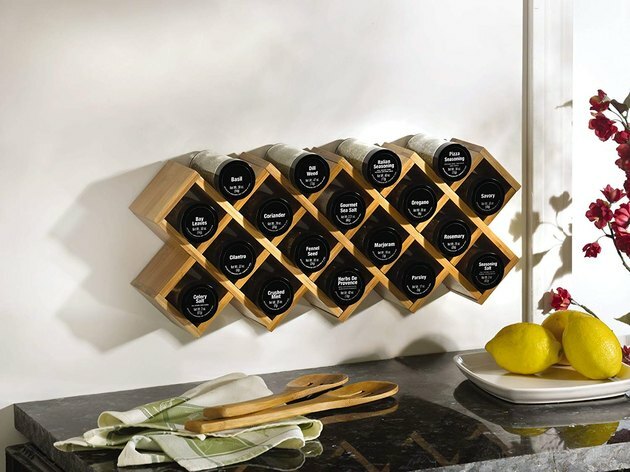 Compact on your shelf, these extend into a pop-out style rack that allows you to see everything in one place. 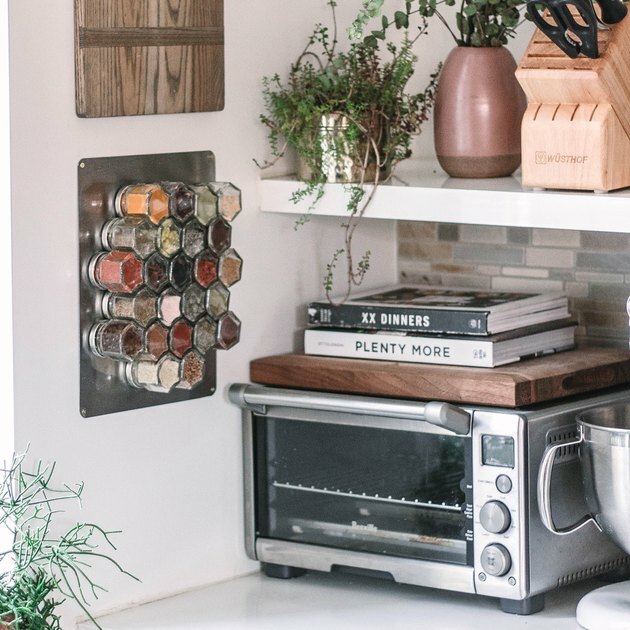 Your dream bohemian kitchen is only a spice rack away. 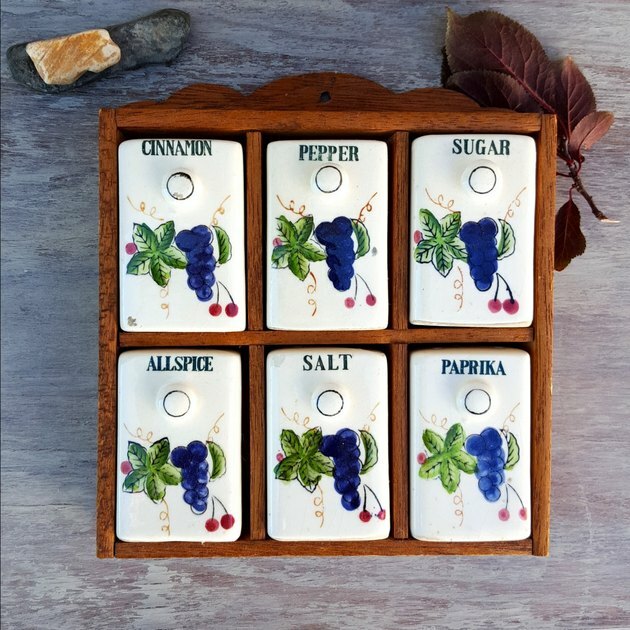 If your breadth of spice-use is limited, consider featuring your all-stars in this adorable, handmade spice rack from Etsy. It will serve as both a seasoning sidekick and pretty piece of wall art.